There are several careers involving animal breeding and production. Some career paths involve direct care and management of production animals, while other positions provide educational or veterinary support to those direct care providers. Here are some careers in livestock. Beef farmers raise many species of beef cattle as a part of the meat production industry. There are two major types of beef cattle producers: cow-calf or feedlot operations. Cow-calf operations breed their own calves and raise them to weaning age, where they are sold to feedlots. Feedlot operations purchase weaned calves and raise them to market weight. Dairy farmers manage cattle used for milk production. Many operations also raise their own replacement heifers to add to the herd. Dairy farms may be smaller family farms (which are frequently part of cooperatives) or larger corporate production farms. Dairy farmers seek to increase the milk production yield of their herd through careful management and selective breeding. Poultry farmers raise chickens, turkeys, or other birds for meat production. 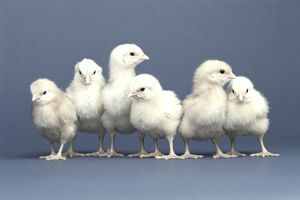 The most popular area of poultry production is broiler production (broilers are young chickens raised for meat). Farms can range from large indoor commercial operations to smaller “free range” or organic broiler production facilities. Aquaculture farmers raise fish and shellfish for use as food, bait, or breeding stock. Roles within this career path may include site manager, production manager, water quality technician, and aquaculture technician. The aquaculture industry is one of the fastest growing animal production career paths. Horse breeders produce many types of horses for use in sport and recreation. Breeders often focus on one particular breed and niche market (such as Thoroughbred racing). Breeding industry roles may also include management positions such as stallion manager or broodmare manager. Pig farmers raise swine as a part of the pork production industry. They may be involved in farrow-to-finish operations (raising pigs from birth to market weight), feeder pig operations (raising piglets from birth to less than 60 pounds), and finisher operations (which raise piglets obtained from feeder pig operations and raise them to market weight). There are also career paths in pets. Dog breeders produce purebred dogs for show, sport, breeding, or companionship. Most breeders specialize by producing one type of dog and have advanced knowledge of the pedigrees and conformational standards of that breed. Many breeders also send their dogs to shows or other performance competitions. Exotic bird breeders breed and sell pet birds such as parrots and finches. Most bird breeders focus on one or two types of birds. Breeders may also enter their birds in shows to be judged against other top representatives of their breed. Reptile breeders raise and sell species such as turtles, snakes, and lizards to the commercial or pet reptile markets. Breeders usually specialize in producing just a few species for a specific market, and they usually have advanced knowledge of the species they produce. Animal geneticists study genes and heritability of traits in animal populations. Geneticists may be involved in research, selective breeding programs, studying population genetics, and more. Many work directly with producers of livestock species, such as cattle and poultry. Veterinary theriogenologists are specialists with advanced training in reproductive medical techniques. They may work in clinical practice, research, private industry, or academia. Board certification as a veterinary theriogenologist requires at least 3 additional years of experience after completion of a basic Doctor of Veterinary Medicine degree. Animal health inspectors oversee animal production facilities (including dairies, hatcheries, and feedlots) to ensure that humane standards and legal regulations are enforced. Health inspectors travel extensively to complete their duties. Agricultural extension agents present information to local livestock producers and advise them on a variety of management decisions. These agents must be familiar with a wide variety of animal operations including those involved in dairy, beef, poultry, and swine production. Equine extension agents advise individuals in the horse industry (including breeders) on management decisions and advances in equine care. Equine agents must be familiar with various types of horses, popular equine performance sports, and equine management strategies.